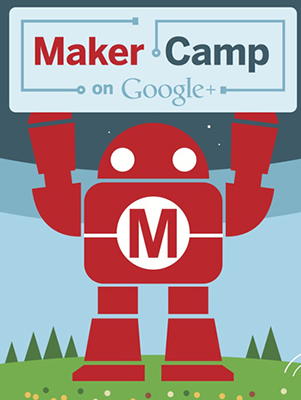 Maker Camp kicked off today and each day of the six-week virtual summer camp we’re holding a giveaway on MAKE’s Google+ page. The first lucky winner is: Penny Jackson. She won the Ultimate Arduino Microcontroller Pack from the Maker Shed. Congratulations, Penny. 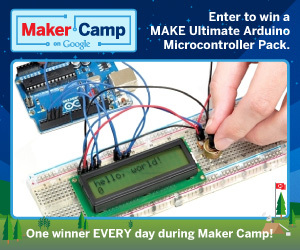 For the rest of you who didn’t win you have 29 more days of Maker Camp left to enter and win. Enter here.